Last week, the class was on Marriage and Family. And I sat in the back and listened while our partners and my husband stood in front of these amazing men and women, Tanzanian church leaders who are hungry for God's Word. And they discussed and argued and wrestled together and learned from each other as they looked at Scripture and compared it to culture. Does a man own his wife? Is there room in Scripture for a bride price? Is the wife's submission in Scripture the same as the wife's obedience in African culture? What does it mean to love your wife? How does a man lead his children and yet love them? I learned so much from listening to them wrestle. I am humbled by their desire to let God's Word transform culture, and I wonder if I always am willing to do the same. But my favorite part was when Gil stood tall and told them that he would have married me even if he had known ahead of time that I would not bear him children. Since, in Africa, infertility is usually grounds for divorce. And then we both shared from the depths of our heart about adoption, and how there are 3 million orphans in Tanzania and only a couple dozen that get adopted each year. And we shared our vision for the Tanzanian church to take the lead in embracing infertile couples and adoption and orphan care. It was the one time all week that they spontaneously started applauding. Yes. This is why we are here. As soon as we left the stadium, I was on edge. We had been to games there before, but this time felt different. The game had started late so it was dark when we left. There were a lot of people, and 90% of them were men. We had gotten separated from our friends, so it was just our family and a teenager we had brought with us. Gil felt uneasy too, and he insisted that we keep close together and walk very quickly. Poor Lily was running to keep up. Just as we existed the stadium, we saw a commotion ahead of us. People yelling, flailing, running, pushing. A woman in the street, crying. She had just been robbed. Police hitting someone. Gil immediately started pulling us away from the commotion and towards a wall, and I helped in pushing the children towards him. That's when I felt it--two hands feeling my pockets. I yelled, but before I could do anything, a hand grabbed my purse and yanked. The strap broke, and he was gone. Gil and I both kicked it into high gear, grabbed the kids, and raced for our car. Lily peed her pants, but thankfully, we were all okay. Josiah asked a million questions on the way home ["Where do robbers go in the daytime? ], we answered them, and life went on. I was left with this friction burn where the guy yanked my purse strap. But other than that, no harm done. I've been trying to give you realistic glimpses of our Tanzanian life, and it's been hard to think of how to write about this part of our lives. Because the truth is, this wasn't an isolated incident. This is our reality. Part of the reason this didn't totally traumatize me is because I was partially expecting it. I only had the bare necessities in my purse that day--some money and sunglasses--because I knew that it was likely something like this would happen. I can't even list all the things like this that have happened to us during our years here--the times our car was broken into, the time Gil's phone was stolen, the time it was almost stolen. And really, our experiences are nothing compared to our friends. Like the two dozen families we know who have had invasion robberies in the middle of the night--the friend who had his head hit with a machete, the other friend who was stabbed, the other friend who was shot at. These aren't just people we have heard of or seen on the news--these are friends. Our house has bars on every window. And our front and back doors have metal grates. Make sure car is locked. Lock and bolt front door. Lock and padlock back grate. Lock and bolt hallway door. It's a good thing our house is made of concrete, because we would be in trouble in a fire! But it's our reality. When I walk on the road, I make sure I hold my purse in my hand, and not on my shoulder. Too many friends have been hurt by drive-by purse snatchings when the thief has pulled them down in the process. When I go to the ATM, I am always on edge. When walking to my car, I hold my keys in my hand, in case my purse gets snatched. This is life here. It happens all the time. The U.S. Embassy in Tanzania often sends out safety messages about avoiding particular places or situations. We laugh, because sometimes their "warnings" are so comprehensive that if we took their advice, we couldn't go anywhere or do anything. Before we came here, we tried to buy life insurance. No one--absolutely no one--would give it to us, even though I wouldn't consider this country to be in the "high risk" category. We're not in Somalia, for heaven's sake. Have I just gotten used to it over time? Maybe. Am I doing better at trusting God? I hope so. I do still worry too much--but I did that in America too. There's always stuff to worry about, even if you live in a padded house. Is living here an unnecessary risk? I guess that depends on how you look at it. I guess I've decided to just choose Trust. Every day, again. However, this particular kind of ball game probably wouldn't attract the same kind of crowds in America. Even with the "Real Madrid Legends" as the visiting team. (If you don't understand the significance of this, I won't try to explain it to you. Just trust me when I say it's a big deal). Even the President of Tanzania was in attendance. No nachos or hot dogs sold at this game. But candy, peanuts, samosas, and ice cream were plentiful. Maybe the snack sellers at Dodger Stadium could learn a few tricks from these guys. Another thing that's the same? I only go for the company. And Grace loves her girl. Though we went as a family, ball games are not family events here. The crowd was probably 90-95% men. Very few women, and even fewer children. When we go, we definitely stand out. Once, we even got our picture in the newspaper the next day. It was fun, even though Tanzania lost. That is, it was fun until after the game. But that incident is part of a bigger topic, so I will save that for the next post. Doesn't even bother with "Tumble Dry Low." Lily's kindergarten teacher is Tanzanian. Josiah's first grade teacher is American. Grace's third grade teacher is British. And she is totally back in her element. It was strange being "just a parent" on the first day of school, after 10 years of ministry there. My responsibilities included getting a good breakfast into my kids, making sure they didn't forget their water bottles, and meeting new parents. My name is no longer on a box in the staff room, I had no photo-copies to make, and Gil was not speaking on the first-day assembly, like he did for 8 years. I came home to a quiet house and had a Swahili lesson and then went to a meeting with our new partners in ministry. It felt weird. But I can't tell you how grateful I am that we still get to be a part of Haven of Peace Academy, that my kids get to attend here and learn from all of these amazing people. The very existence of this school enhances our new ministry in every way. So, today the vet came. He sedated Precious [the Rhodesian Ridgeback], then lanced the infection out of her eye, and then injected her eye with antibiotics. Under the very interested gaze of my eight-year-old. Hey, this is nothing. When I was a kid in Liberia, the vet neutered our dog on our kitchen table. School actually does start tomorrow. But it can't possibly be more interesting than this. Okay, so it was a little tricky to get these pictures. If you started randomly taking pictures of say, your neighbors, or the clerk at the grocery store, they would probably call the police. I already stick out around here. So I had to be kind of sneaky getting these pictures. Which explains their lack of quality or general artistic-ness. But hopefully, you get an idea of what it looks like around here. There has been very little city planning in Dar es Salaam. Very few streets have names and there is no organization to the buildings. It's very much a hodge-podge, and our "neighborhood" is no exception. Our neighbors directly in front of us. There are multiple families living in this house. The unfinished house on the path to our road. It's been unfinished the entire time we've lived here, but in the past couple of years, it looks like people are living there anyway. Carpenter shop directly next to our house. We hear their saws almost every day. They recently made me a table for the kids' play room, and they did a great job. Homes directly next to ours that are typically Tanzanian--concrete block, no indoor plumbing, very little electricity. In contrast, this is a home very close by that is far nicer than our home. ...and they love getting their picture taken. They nagged me about when they could come over and play again (which happens 2-3 times a week). A typical fruit and vegetable "duka." Sorry I couldn't get closer....I couldn't think of a good reason to take their picture and I didn't want to freak them out. Local bar. We find it interesting that there is so much alcohol in this country, even though both Islam and [African] Christianity forbid it. The front of a car. Um? And I came home from my walk to this....Frodo had brought me a hedgehog. How nice of him. So I don't know about you, but these days, I'm afraid to read the news. If you've read this blog for very long, you know that I grew up in Liberia. A few weeks ago, you might have never heard of the place. Now, everybody knows about it. 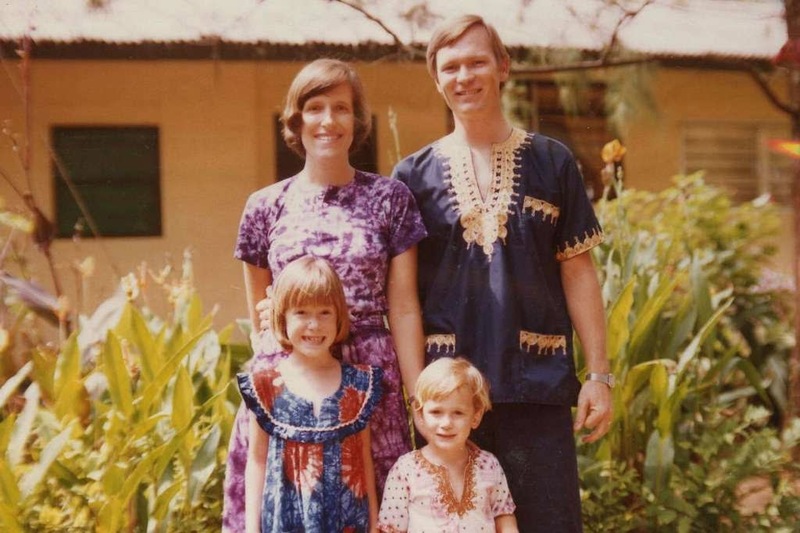 In fact, I grew up on the ELWA compound, home of ELWA Hospital--where Dr. Brantly and Nancy Writebol were serving when they contracted Ebola. My dad, in fact, was chief pharmacist and then hospital administrator at the very same hospital in the 80's. So you could say that this whole Ebola tragedy--even before the doctors got sick--has been hitting me straight in the heart. And then there's the Iraqi Christians. Whew. Talk about breaking our collective American Christian hearts. Right? Right? Totally. I've felt a dark cloud over my head the past few days. I had a nightmare about being stabbed and I'm sure it's because I've spent so much timing thinking about this. And we pray. And pray and pray and beg God to intervene. Praying is good and necessary and I firmly believe it is the best work we can do on behalf of these people. But today I went to this link, which gives examples of organizations who are working in Iraq and need funds. I've been thinking about how God has called us Americans to other work besides only prayer: the work of sacrificial giving. After all, we are, in fact, the richest people in the world. And by "we," I mean anyone reading this. If you are rich enough to own a computer, and you read English, you qualify. As in, we're princes and princesses. Aristocracy of the world. If you don't believe me, click here and enter your salary. Please--it will give you the shock of your day. Hey, I know that America is in some difficult financial times. I get that. Even this week, we came to the hard realization that we most likely will need a new transmission in our car. Ugh. I "get" difficult financial times. But really? Do I get "difficult" as in "run for your life to the mountains with only the clothes on your back, leaving behind the body of your daughter?" Do I get "contracting a disease that gives you a 90% chance of dying a slow, painful death where your insides turn to mush?" I'll take the "problem" of a bad transmission, thank you very much. This is the truth of it, friends. 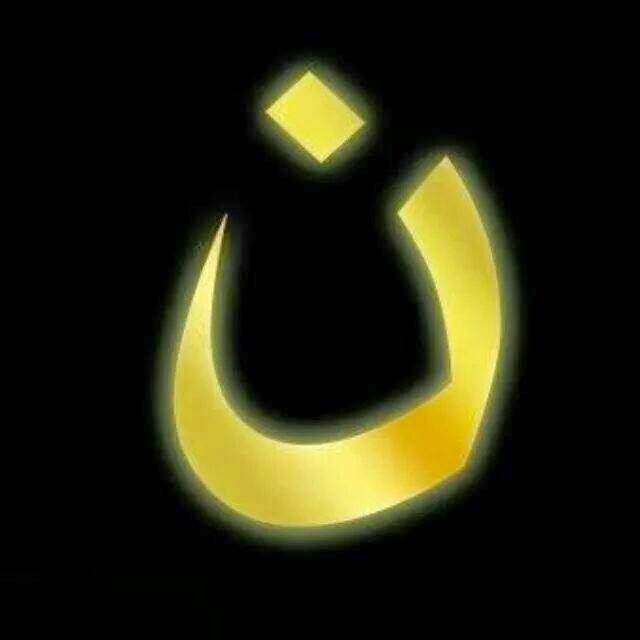 It's easy to post the Nazarene symbol on Facebook. It's easy to share news articles, and it's even easy to pray because it doesn't cost us much. But what I am asking myself today: Do I care enough that it will affect my checking account? Am I willing to sacrifice? Yes, it all makes me really sad and angry. But do I really, truly care? I knew by writing this post that I would be required to include myself in this same category. I was kind of afraid to write it, for that reason. But we must, must, must consider this question. Did God make us rich because He loves us more? Did He make us rich because we deserve happy lives? Or did He give us what we have so that we can use it for His kingdom? What will I say when I stand before Him, accountable for everything He entrusted to me? "Well, God, I posted the Nazarene symbol on Facebook. I even shed a few tears on their behalf." This the link of Iraqi organizations, and this is one place where you can donate to help Ebola prevention and its victims. It's the same, but not the same. In many ways, nothing has changed. My brain has made the switch to Tanzania. Habits and routines that I completely forgot about have come back to me. A few weeks ago, I couldn't even fathom living in Tanzania again. Now, it is effortless. Well, as much as living in a third-world country can be effortless. It's like muscle memory, my friend Alyssa said to me. Yes. I know what to do here. And it helps that I am in the same house in the same neighborhood in the same city. I am still living less than half a mile away from HOPAC. My children will be attending there in less than two weeks. But it is not my life anymore. My muscle memory sees the new teachers arriving and I start thinking about when I should have them over. By instinct, I start making plans for the new school year. Shouldn't we be creating the theme for the year right now? Shouldn't we be getting Gil's classroom ready? Shouldn't we be attending the in-services? But no. No, I tell myself. That is not your life anymore. Oh, I will still be around. I'm going to be on the board and I will join the parent association and I will volunteer in my kids' classes. But I will be a parent. Not a staff member. Not involved in the intricate details. It won't be my life. And that's hard for me; hard to give it up because it was my life for 10 years. And I loved that life. And I love that school. Truthfully, I'm excited about my new life, too. Instead of reading books and discussing Christian school culture, Gil and I are reading books and discussing Tanzanian culture. Soon, he will be setting up a new office and preparing a new classroom in a completely different kind of school. It's a complete shift in mindset. My daily routines will look very different from before. But I don't have muscle memory for it. It feels awkward and uncomfortable and new and I have no idea what I am doing. I think back to those first years at HOPAC when I felt the same way. So I know that the same thing will happen this time around, that my new life and ministry will settle in and become the new normal. And in this period of in between, I will remind myself that He is good and faithful and He has called us to this new thing. And that He delights in weakness because He is strong. This--these truths--have become the real muscle memory for me. They will not change. First of all, unrelated to my kitchen, this is the living room after the kids have cleaned it up. Not quite as realistic, but probably how it would look if you came to visit! Okay, so onto my kitchen. I admit, I had some culture shock about this in the last three weeks. I had forgotten how much time I spend in the kitchen. In the States, people asked me all the time how we eat in Tanzania. I would usually tell them that we eat similarly to how we eat in the States, but it's just is a whole lot more work. Yet, somehow I had forgotten how much work it really is. So. Let me tell you about my life in the kitchen. One side of my kitchen. It's not too different than what you are used to, except my sink is extremely small and my cupboards often have ants, cockroaches, and geckos in them--no matter how clean or how careful I am. and the other side of the kitchen. The fridge is small but I have a deep freezer. I freeze almost anything I can. This is because in our frequent power outages, I lose stuff in the fridge, but the freezer usually does okay for up to 12 hours without power. I also try to bake in bulk. My stove and oven are both gas, which is excellent because they are not affected by the electricity. I buy gas in large canisters and hook them up to the stove, like you would for your barbecue. This is our water filter. It ain't a Brita. We aren't filtering for taste; we're filtering for giardia and cholera. ...aaaand this is how I bring home eggs. Remarkably enough, they rarely break. This my pantry, and these are the ingredients I have to work with. Packaged food is available but extremely expensive. Cereal is about $8-$10 a box. Lunch meat is $5 a package (and rather disgusting). So we don't buy those things. No meals are quick and easy. Everything, everything--breakfast, lunch, and dinner, has to be prepared. But I have loved the challenge of learning to cook. In our early years here, we ate a lot of omelets for dinner. I've come a long way since then! For example, today we had oatmeal and zucchini bread for breakfast. We finished the zucchini bread, so later today I will make about three large loaves of banana bread. For lunch we had spaghetti with the sauce I had made last week and frozen. Dinner will be burritos. I have the beans in the crock pot, and before dinner, I will shred the cheese, make the salsa and guacamole, and fry the meat. It's actually one of our easier meals because it just uses ground beef, instead of other meats that have to be cooked forever to be edible. Tortillas were made today by Esta. This is Esta. Esta is a fixture in my kitchen and our lives. She has worked for me for seven years and is in our home 5 days a week. She keeps me sane and allows me to have some ministry outside of my home. She cleans the floors which are dirty every day from the open windows and dirt roads, she hangs my clothes out to dry and irons them, she makes tortillas and cuts up mangoes. She is my friend and part of our family. Like having a gardener live on our property, having a house worker is also expected here. You put us on your refrigerator; we put you on ours. Keep those Christmas cards coming. And please, come hang out with me in my kitchen sometime!